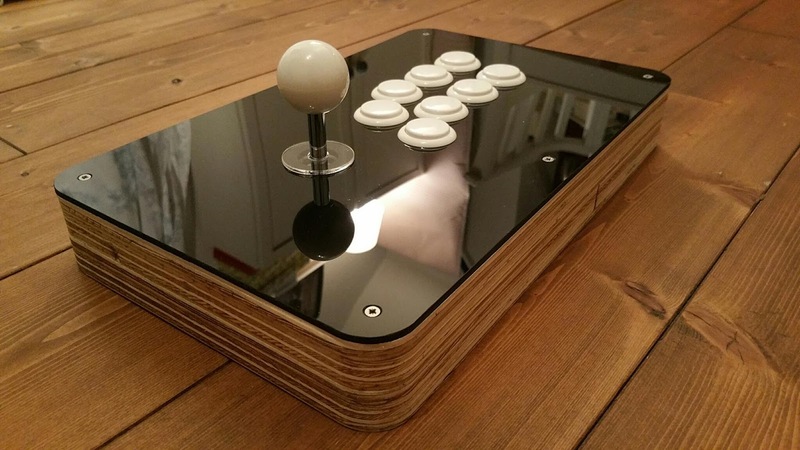 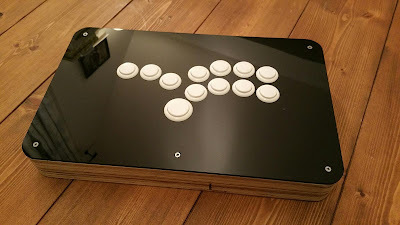 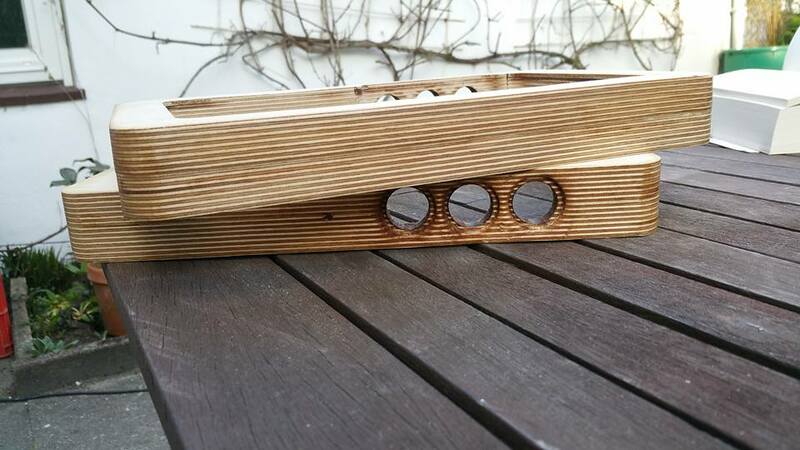 ArcadeForge Arcade Stick or Hitbox Enclosures. - Wooden Frame with holes for 3 buttons diameter 24mm. The control panel can be hitbox style, Arcade Stick with 6 and 8 Buttons.